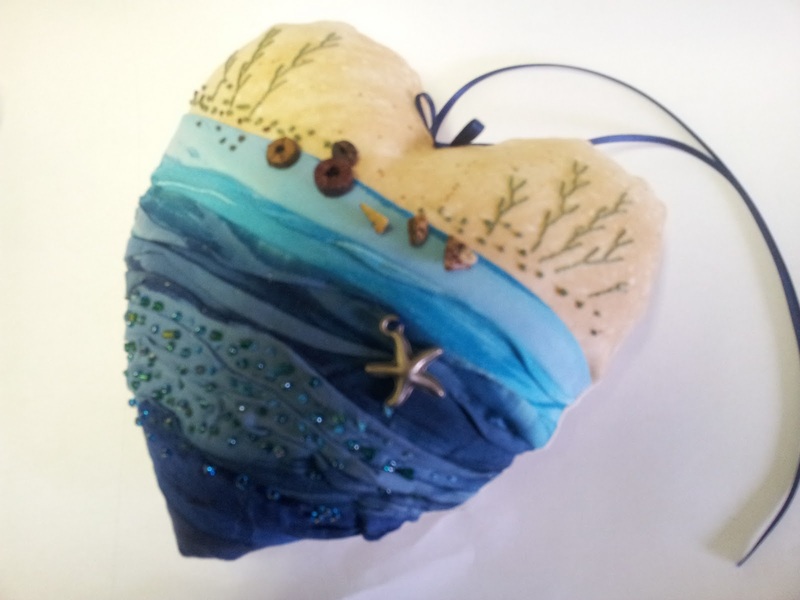 As part of The Material Girls exhibition which starts at Craft Arena on 20th September, Diane Kelsey will be holding a workshop at Craft Arena making this great seaside inspired heart using simple stitching techniques. Places are limited, so if you would like to join us let me know. The workshop is at the very special price of £25 per person and will be held on Wednesday 28th September 2011 from 10.30 to 4pm. All materials are included in the cost of the workshop. Bookings are being taken now, contact me to confirm your place.